Owned by the Salvadori family, who were strongly anti-fascist, between September 1943 and May 1944 the Villa became a safe house for all sorts of POW seeking refuge from the Germans and Italian fascists. At times the POws were hidden in the attic while German were demanding breakfast in the kitchen. The Countess was well known for her anti fascist views and as a result was visited frequently by ‘Officials’ checking up on her, and the house! 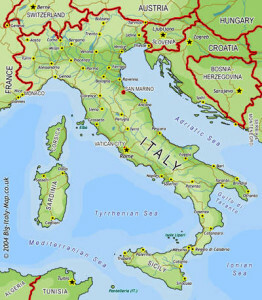 Several parties of escapers staged through the Villa on their way to pick up points on the beach near the mouth of the Tenna River, an operation fraught with danger due to the proximity of German troops, frequent bad weather and the difficulty of obtaining a boat to take the evaders out to the waiting vessel! The evaders who ‘used’ the Villa included five Generals, and a variety of military and civilians anxious not to be recaptured! 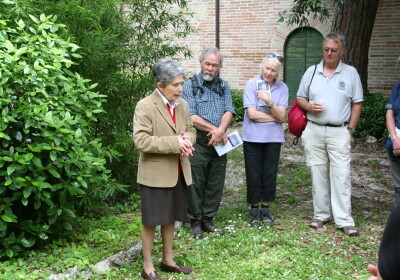 The current descendent of the Countess, Clara Muzzarelli has welcomed the visits by members of both ELMS and of The Monte San Martino Trust during our recent Trail events in the Tenna Valley. For a report on the Tenna Valley Trail of 2013 look here.